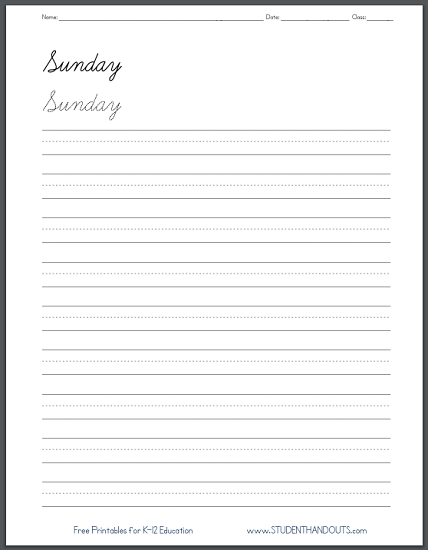 These free printable worksheets are available in both print manuscript and cursive script fonts. Students read, trace, and write the names of the days of the week: Sunday, Monday, Tuesday, Wednesday, Thursday, Friday, and Saturday. Click here for more free printable handwriting practice worksheets for children.